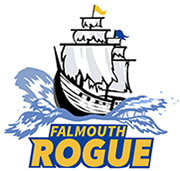 We gave a disc to every 5th grader in Falmouth! Thanks to the generosity of the 2017 FMS Ultimate parents, we were able to order 200 new discs that were given away to this year’s 5th graders. We had enough to hand out a disc to every 5th grader in Falmouth with enough left over to leave some for the elementary and middle school gym teachers. Coach Shea also spent six weeks teaching ultimate to the 5th graders in their gym classes. Thanks as always to gym teacher Maureen Sylvia for letting us come in! There were a lot of great moments in their last few weeks of gym class ultimate as they got out and starting playing full games. We should have a good strong crew of 5th graders in the spring!